Homeopathy offers fabulous treatment for Frequent Colds in children and adults. A short course of treatment can make big changes. After about four months of treatment, you will observe that the frequency, severity, and duration of your Colds will reduce drastically. Dr Rajesh Shah, M.D. has researched on various chronic and recurring diseases for over 20 years. His research-based molecules have an international patent pending or granted. His unique treatment protocol is made available to patients world over. At this point, there are patients from 127 countries under Dr. Shah's care, which has been a world record. Following are the statistics based on a study of 350 patient suffering from frequent colds. What is the basis of homeopathic medicine? The homeopathic medicines in our protocol are largely derived from the plant kingdom, such as Thuja occidentalis and some immuno-boosters from bacterial sources. The said immune boosters are the homeopathic version comparable to vaccines (but actually vaccines) but prepared using a method of Potentization, transforming the original substance into curative measures. Homeopathy science has been using such medicines since 1880. Everyone and anyone with frequent colds will be benefited with homeopathic medicines. Babies as little as six months and elders, who have a tendency to catch cold may find great relief with homeopathic medicines. We recommend a four months course. Most patients respond within four months. Those who do not may require another course for four months. Those patients who may have frequent colds for more than five, ten or twenty years, may need maintenance dose depending on how their body systems respond. Can it help during the acute attack of cold? 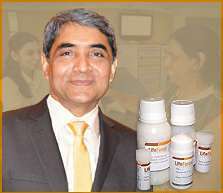 Homeopathic medicines are aimed at boosting long-term immunity. They may not help during an acute attack of cold. During the acute episode, you may take your conventional medicine, without stopping homeopathy. No, there are no side effects to homeopathic medicines, even if used for a long time. The medicines are safe for babies, pregnant women as well as elderly people. The medicines may be taken as complementary therapy along with other conventional medicines. How to purchase medicine online?